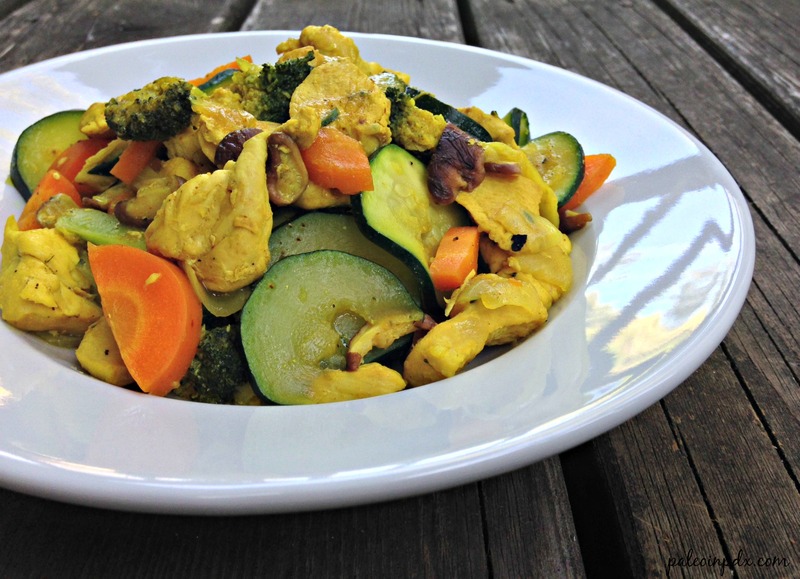 This turmeric ginger chicken stir fry is full of spice, and loaded with tender chicken and lots of veggies! 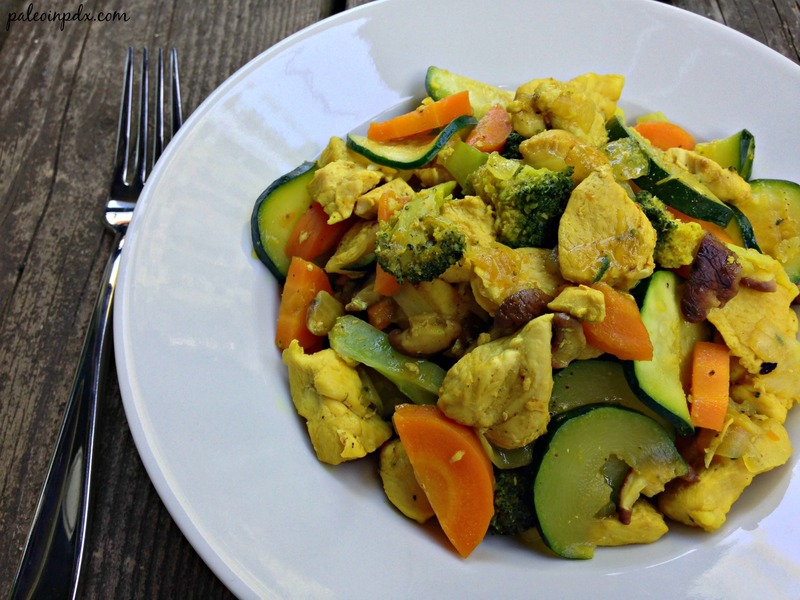 It is an easy and quick meal to whip up, and especially great on night’s when you’re not sure what to make for dinner. Meanwhile, can you believe it’s almost the Fourth of July? It always seems like summer flies by after the Fourth, doesn’t it? Anyway, we don’t have any plans nailed down yet, but might go to Hood River for the day. We’ll see. Melt coconut oil in a large pan or wok over medium heat. Add the onion and garlic. Stir until fragrant and sauté about 1-2 minutes. Then, add the cut-up chicken pieces and season with sea salt and pepper to taste. Meanwhile, in a small bowl, mix together the coconut aminos, fish sauce, mirin, raw honey, ginger, turmeric and cayenne. Set aside. Once the chicken is nearly cooked through, add the carrots and broccoli. Mix well and sauté a few minutes. Then, add the zucchini and shiitake mushrooms, and stir well. Season to taste with a little sea salt and pepper. Pour in the sauce mixture and mix well. Continue to cook for a few minutes or until zucchini has softened a bit. Season to taste with more sea salt, pepper and/or coconut aminos, if needed.